Are YOU an ambitious Swimmer, Runner Or Cyclist? This course reveals the secret mind hacks top performers use to set personal best times without extra training time. Most athletes base their expectations on past experience, and generally struggle to break through to the next level. In this report, Mike takes you through a 3 step process which teaches you the secret top athletes use to set personal best times without extra training time. This free audio and video course will help you maximise your results and get the best out of your training. Smash Your Strava PR is a small part of our Smash Your Personal Best Foundation Course, our unique Mental Toughness training course only available to members of Peak Performance Coaching Club. Full details of further courses and other coaching options are included in your Free Course. This course is completely without obligation so you can assess how we may help you reach your dreams. 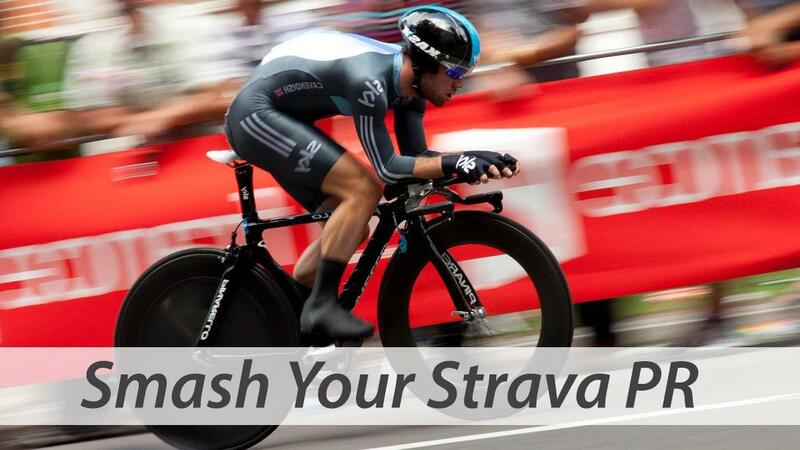 Get Your Free Smash Your Strava PR Course Now! You already have every skill you need to make these simple mind hacks work for you. The set up takes less than 10 minutes to learn, and once mastered, can be done in 90 seconds or less, clearing and centering your mind for training or racing. This section teaches you everything you need to know to make effective use of the training. It comprises a video taking you through the theory and 3 Mp3 recordings, which give you the practical instruction. Please note that it may take several sessions to get the full benefit. Everyone is unique and processes information their own way. Great question, All I can say is that it has worked for everyone I have coached over the last 10 years. If you need help, you have full email support, and I will help you all I can.